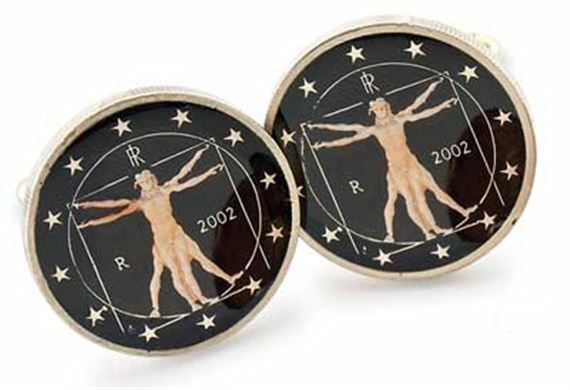 Order your Silver Star Italian Euro DaVinci Cufflinks today from FahrneysPens.com. Fine Pens, Refills & Luxurious Gifts – great prices & fast shipping. The Silver Star Italian Euro DaVinci Cufflinks are a miniature work of art - each is delicately hand-painted and fired by a family of fine craftsmen. Authentic Italian Euros adorned with Da Vinci's 'Vitruvian Man' are delicately hand-painted and fired-protected with clear resin to add depth and luster. These silver-plated cufflinks will be treasured for many years to come.